but stay a while near the top of the page to check out the MS4 also. 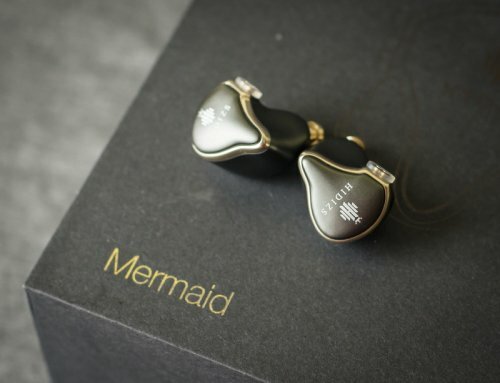 `In the Mermaid series, we also designed the earphones featured the single dynamic driver. we also used the Hi-Fi grade material for this product. 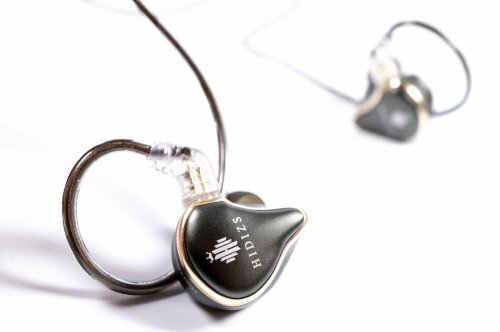 The new earphone series from Hidizs is quite a surprise production from this dap company. Earlier products such as the AP60 and the later AP200 and AP80 built upon earlier builds and improved the sonics experience as is to be expected. 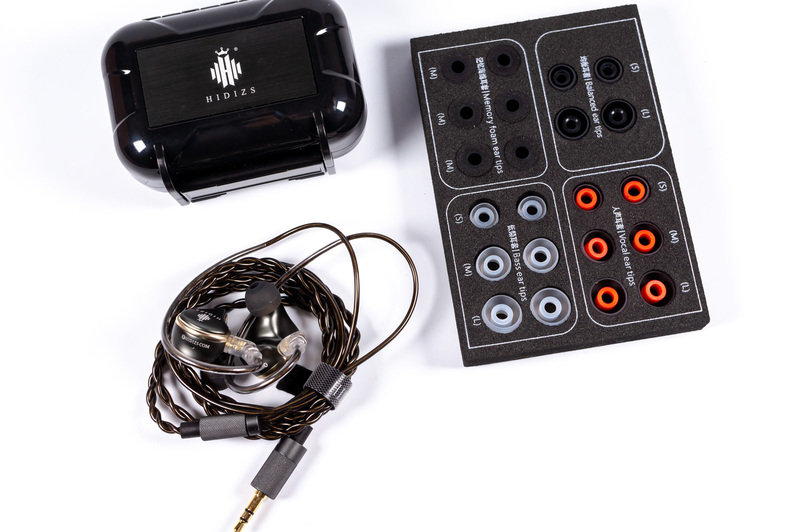 Hidizs has finally gone into the earphone arena with a well received pair (MS1 and MS4) by reviewers that was available for mainly early review, feedback and development purposes. 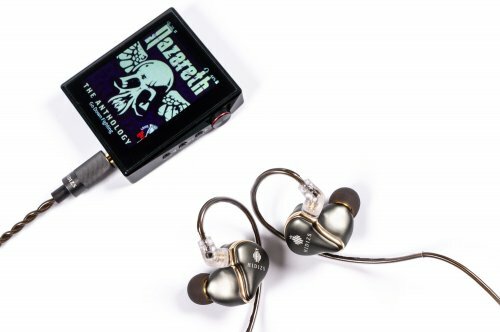 Hidizs has taken a jump into the lower mid fi end with their MS4 model (1 DD, 3BA) and also the entry level end with the MS1 with their new DD earphone. Placed at US $99 - $129 on Kickstarter (Later increasing to $149 - $268). 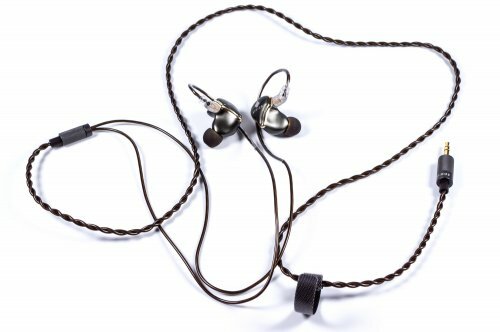 The Hidizs MS1 when combined with a decent dap certainly emerges as an earphone that produces a pleasant performance. Coming with a durable oxygen-free copper cables which are composed of 4 strands two pin standard single ended 3.5mm for starters. There is also the option to add more cables as perks, Such as a 5.0 bluetooth receiver or a Type-C DAC cable , or a 2.5mm balanced cable. And there is also a 4.4mm option upon request. Unboxing Hidizs MS1 (MS1 basic kit). *See further down for full Specifications. You can not go wrong with lots of tips to choose from. A nice, solid plastic case for transportation and protection. More details of the tips so you can tailor the sound to your liking. The build as you can see is excellent, and much more than I expected. 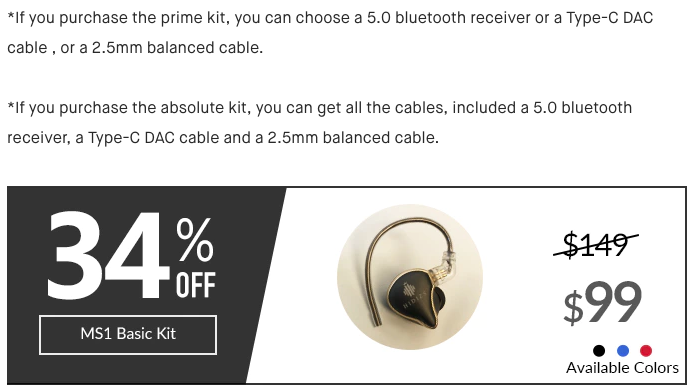 I think it is best to browse their Kickstarter for all the various options and perks (especially the cable add-on options). Scroll down from the MS4 initially to the MS1 mid way down their Kickstarter page. *4.4 mm balanced change connector is an add-on, you can get it at only $10 USD ($ 78 HKD). Expected mass production is scheduled for February with shipping planned for April 2019. Stunning to see, touch and comfortable to use. Various Daps, volume matched with a SPL meter, and FLAC tracks were used in the listening and testing). The Hidizs MS1 dynamic driver earphone is certainly a decent first effort. My expectations were admittedly low, this being their first earphone (that I know of). 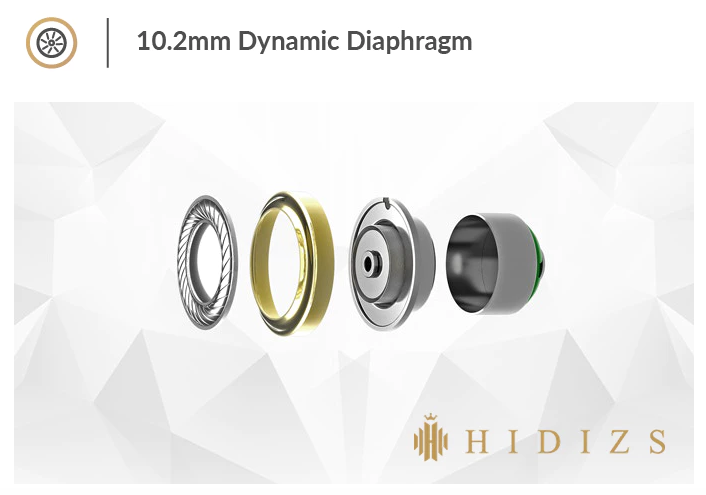 The Hidizs MS1 takes a turn from the earlier favored V shapes of late 2017/early 2018 of other brands to a more neutral, linear and bright sound, echoing to some degree the ever popular DD sound that one enjoys to listen to. Vocals are sweet and not too forward and complement the music rather than overwhelm it. The sub bass is present but not overcoming, the bass being a main feature whilst complementing the mids and highs. The response is fast and aggressive. Typical of most dynamic drivers. The mids have a nice bump in their lower regions to please and complement the vocals, especially female vocals. The highs are refined and are generally ok. Some sibilance or over extension on the odd rock track. They generally have a nice reach without becoming fatiguing with the right pairing of music. The fit is comfortable and I could easily get a good seal. I did not really need to change to any after market tips and achieved excellent isolation and increased body overall from the stock offerings. I did sample my recent favorites such as the Symbio Peel W and JVC Spiral tips and enjoyed the more controlled overall sonics, clean delivery and tamed highs of the JVC versus the stock balanced tips. The balanced tips are good overall and fairly even. The Vocal tips are bit more sedated on the lows and highs, creating a more emphasis on upper mids and vocals. The Bass tips do not seem to produce huge bass, but its adequate and they seem to have a more airy effect due to their larger bore and thin silicone. The Balanced tips or the Foam tips appear to be the stock winner here. Solid sound, nice lows and vocals, usual drop in the highs of course. Imaging is above average and I could enjoy the instrument placement, and the sound stage is as like in a medium hall. The performance is a varied range as can be seen below. Dependent on the music listened to and the tips paired i suppose. Some time is does not seem coherent, or maybe lacking some low end, or treble and bit sharp (bear in mind this is only with the Balanced tips). I found changing the gain from low to mid improved the performance overall, and would recommend it. Bear in mind this a US100 earphone at its roots, the build is excellent and the sound fits within and above that price bracket. Norah Jones, Massive Attack, The Fugees, Daft Punk, Beethoven, Jeff Buckley, Kruder and Dorfmeister, David Bowie, Neil Young, Gnarls Barkley, Joy Division, Velvet Underground, Mazzy star are a good match,... The Pixies, Morcheeba, Ramones, Portishead, The Jesus and Marychain, Hole are ok,.... Slayer so-so,.... Richard Ashcroft, Blur, lana Del Rey is not. With a bit of gain added I felt there to be some improvements as the dynamic driver had more power to satisfy it. Take the above with a grain of salt, Lana del Rey for example was ok with the JVC Spiral Tip. Overall it is not an all rounder at low gain, but moves closer to it when more gain is added. I would also recommend playing around with the tips a bit to get the right sonic experience for yourself and to do some tip rolling with whatever tips you have lying around. Have a play. Its a generally, smooth, easy listening experience and enjoyable earphone. The Hidizs MS1 marks a point of maturity of Hidizs as a company as they perhaps move closer to the dream of a totl IEM. 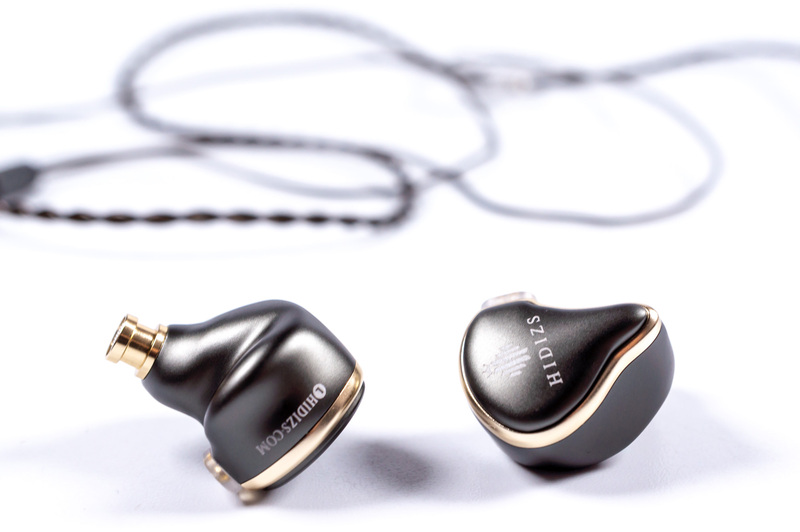 A more neutral style earphone, nice body, decent fast low end with warm floaty mids and a at times bright high end. Sound stage is medium. I would recommend trying out all the tips and even try other tips. Medium or high gain seemed to satisfy the drivers the most. The cable is decent and I did not bother with cable swapping to yield some incremental improvements as I was generally satisfied with the stock cable. The MS1 has a linear, naturalness combined with body, clarity, detail and power. 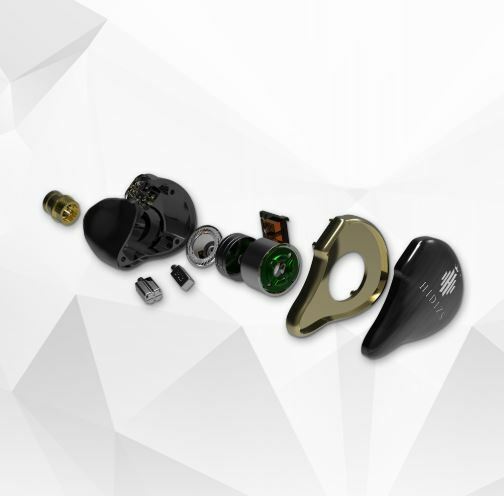 We look forward to Hidizs next earphone project. Thank you to Hidizs for sending Head pie the Hidizs MS1 for review. Hidizs obviously enjoyed the idea of Kickstart platform preorders for their new projects. 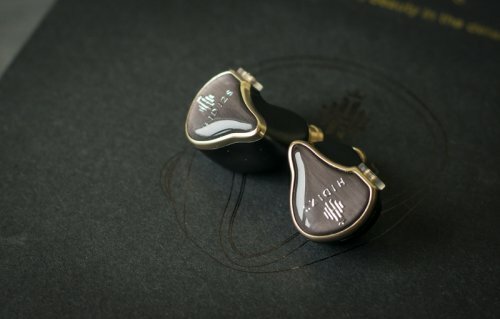 After a successful campaign for their Hidizs AP80 player, they decided to try the same approach for their new IEMs and started the crowdfunding for two new models. Today we will take a closer look at the junior model. I would like to thank Hidizs for providing me with a review sample of MS1 in exchange for my honest and unbiased opinion. Both IEMs adopted the codename - Mermaid. In fact, they look rather similar both in terms of appearance and packaging. The difference between them is that MS1 are single-driver dynamic IEMs and MS4, that I haven’t got for review, unfortunately, add 3 more Balanced Armature drivers to dynamic. Both models can be pre-ordered in three variants: basic, with single addon of choice or with all add-ons. Among the add-ons are the balanced cable of enhanced quality, Bluetooth cable and USB-C cable with DAC (and it is good if it is the same one used in Hidizs Sonata). Prices are average on the market currently. The junior model starts from 150 USD (100 USD during the crowdfunding campaign). Senior is planned to be sold for 300 USD, but currently, its price starts from 220 USD. The IEMs came in the standard Hidizs cardboard box with silver embossing. The contents of the box resemble the flagship FiiO models. According to how the accessories are placed in the box, highly likely that they are made on the same factory. 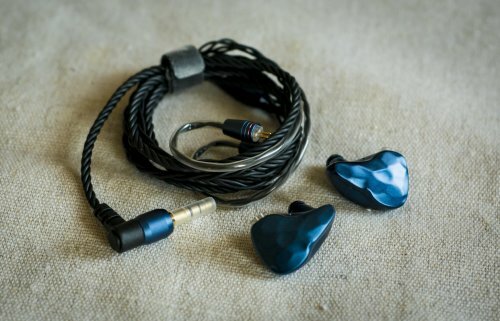 Besides IEMs there is a cable, plastic case and 12 pairs of eartips (3 pairs of 4 types): foam, bassy, balanced, and treble-oriented, that are named “vocal”. It is likely for the senior model to have a better case (some images on the net suggest artificial leather). Those enhanced accessories will be present for those who purchase add-ons. Accessories set is very good for this price. 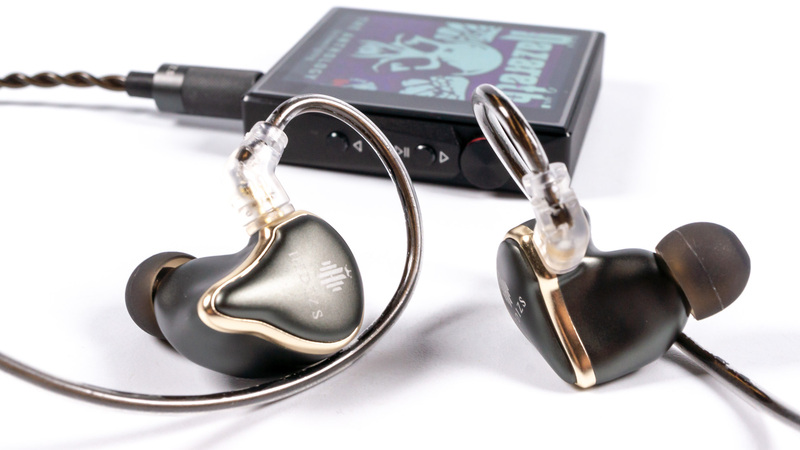 The appearance of new IEMs dispel doubts about relationships with FH5. The IEMs seem to be similar except faceplates. Bodies are made of quality metal. Shape exploits stylized universal representation of custom IEMs. There are three available colors: dark gray, blue and red. My gray variant sports a great shiny insertion on the outer side of IEMs. Here you can also find the company name and logo. 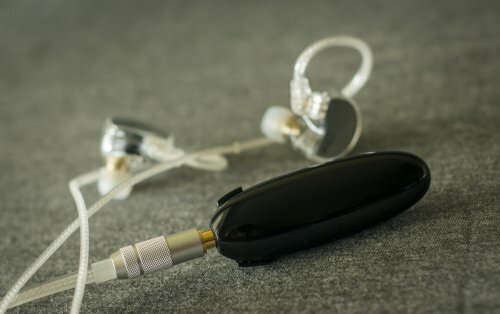 The shape of IEMs is well thought over and MS1 can easily fit any ear, however, they can still be a little large for too small ears, but it is a rare case. The sound hook has normal length and ensures above-average isolation and comfy usage over long periods of time. 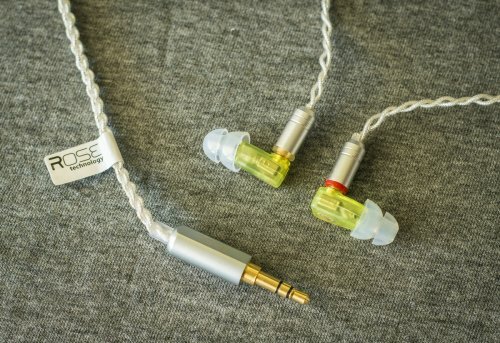 The IEMs are designed to be worn over the ear and it will be almost impossible to wear them “cable down” even if you change the cable itself. The cable is, of course, detachable and Hidizs chose 2-pin connectors, probably because they did not want to crash into MMCX problems). It is rather simple, at least in MS1 model - usual silicone isolation, ear hooks without memory effect, twisted spiral after the Y-split up to the jack. The cable is, however, good in everyday use - it is not too noisy, springy enough not to be prone to entangling and does not stiffen in cold conditions. General build quality is good, there are no problems or faults here. 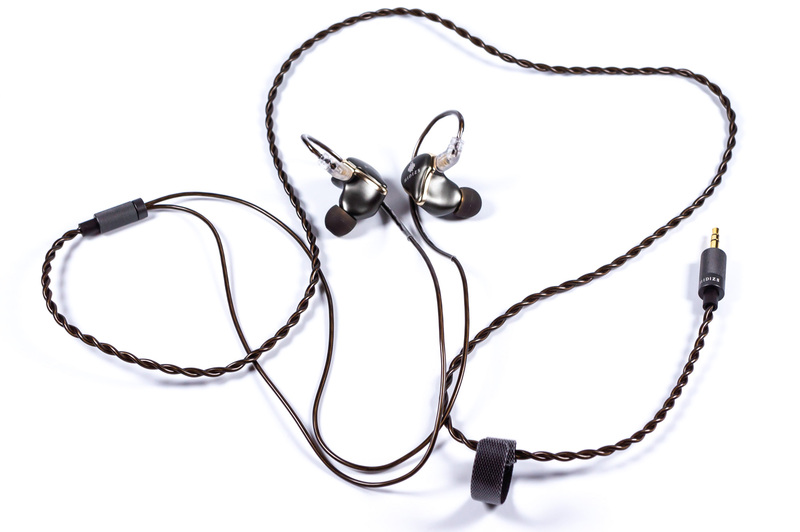 IEMs look strict and respectable and look very attractive. For testing I've used following source: Lotoo Paw Gold Touch, Astell&Kern SP1000, theBit OPUS#2, Yulong DA9 and Resonessence Labs Concero HP. Prior to testing, I allowed 48 hours of burn-in. The changes were detected only during the first 3 hours. Testing this model I realized that MS1 is a half of hybrid IEMs. In fact, it is a good dynamic model that can easily benefit if you add some armature correctly, and I hope that Hidizs really succeeded in MS4 in this regard. Bass is something that you instantly pay attention to here. It has good depth and firmness that will appeal to those listeners who love rolling and rumbling bass sounds. Of course, the bass is not armature in terms of resolution, however, for dynamic bass, it has rather good speed and this makes it sound well-layered and containing micro-details. Overall the bass is balanced and well-controlled, not interfering into the middle. Mids are tuned in the way to have a typical V-shape with a macro-detail accent. The upper mids are almost perfect - they are slightly moved forward and have a good resolution that helps female vocals sound expressive, gives guitars needed aggression and ensures the presence of all other positive moments of accentuated upper mids. Lower mids sometimes lack presence. Luckily it can be heard on some tracks only. The soundstage is average in terms of width and a little smaller in depth, but the separation of instruments and layering are very good, there is no congestion. Treble is somewhat accentuated, but it is done carefully and is not abundant. However, if you are a treble-sensitive person, I advise you to audition those IEMs before the purchase. Attacks and decays are a little shorter than normal, but in general have good length, although not great. The resolution is good and there is a good balance with bass. As there are many models in this price category I have chosen only some of them (arguably the most popular) for comparison. Ostry KC09 How can I omit them? Ostry’s are slightly more flat in mids and have less bass and treble. MS1 has better bass depth too. Whizzer A15 Pro It is a more flat model as well with slightly better resolution but less weight and depth of bass. iBasso IT01 IT01 have more aggressive sound with even more accentuated upper part of the frequency range. The bass has more speed than in MS1 but doesn’t have such depth. MS1 are very balanced IEMs in terms of impedance and sensitivity and they are easily driven by any sources. They are colored and do not require a top player. In terms of style, the IEMs will suit to the genres with good and weighty bass required - from pop-music to jazz with contrabass. MS1 are not very sensitive to the quality of recording - approximately 5 of 10. Röyksopp — Alpha Male (Live 2) I don’t like live recordings in general, but sometimes there are exclusions that break my preferences easily and throw them away. This track is exactly the one. With MS1 it will not only provide you with a good rhythm-section but will let you dig deeper into the live concert atmosphere. Pat Metheny — And I Love Her Of course it is not Wichita Falls, but nevertheless a very good example of guitar jazz. And of course it requires better IEMs (maybe MS4, eh? ), but MS1 play this track really well, mainly because of the correct tonal balance. The Handsome Family — Far from Any Road Shame, but I do not know anything about this band. For sure, I might google it, but for some reason, I don’t want to. Anonymity gives an advantage to this outstanding vocal duet. MS1 cope well with vocal emotions and instrumental part. While I was writing this review, the MS1 gathered several times more than the goal that was set on Kickstarter, confirming again that crowdfunding campaigns are a success. However, there is enough time and if you search for interesting IEMs for a good price, Hidizs Mermaid may be one of the options to look at. As usual, I've made the video version of review for those who prefer it. While resolving good amounts of textures, MS1 deep bass extension is moderate. Deep bass lacks some presence and the entire picture exhibits more emphasis on midbass while many tracks would still require more volume of lows. Couple of inputs to EQ did a good job but if to evaluate this section with no additional editing from the source side — we would say that MS1 IEMs would be a better option for those who doesn’t pay much of attention to bass portion. The peculiar thing here is that when we have tried USB DAC cable instead of AP80 DAP the situation has changed dramatically. The lack of lows has vanished completely and this portion gained a lot in the entire sound picture. Therefore, having good texturing and good speed plus the dark source with the additional emphasis on lows would bring MS1 lower end much closer to MS4 or other good and more expensive rivals. Midbass section sounds good, dynamics, articulation and power are appropriate for ntural and engaging drums. There is a certain accent on midbass in the sound when paired with AP80 DAP but it fades away when DAC cable is used. MS1 mids is a good example of getting very good performance from a single dynamic driver. Resolution of mids is quite high while entire presentation feels very linear. MS1 extends this good characteristic of MS4 and equializes male to female vocals even further. No biting peaks on female vocals in the most suffering tracks, voices are better exposed and brought closer to the stage front. Sound of instruments and vocals is similarly rich and thick. Instruments have a good level of separation, don’t tend to mix and creat good imaginary stage. MS1 mids are warm, quite smooth and exposed. 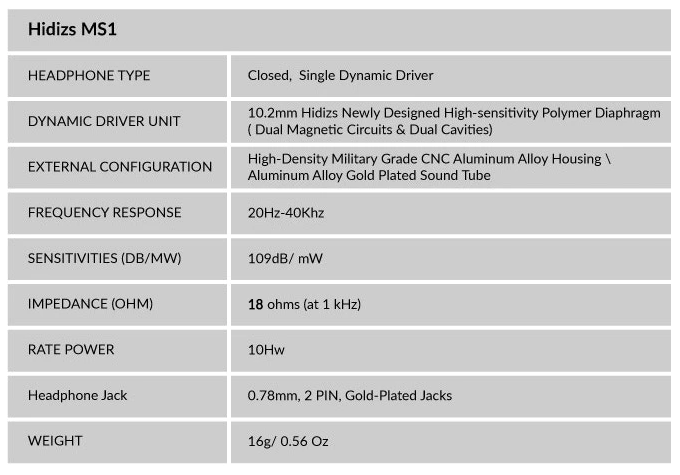 MS1 treble resolution and extension are quite impressive for dynamic driver model. It feels clear and transparent and at the same time do not produce extra sibilances or noise. Of course, hard to directly compete with BA drivers but at least the treble is in good balance with the mids and doesn’t suffer from lack of details or dynamics. We would say that MS1 treble is one of its main virtues, especially when used with USB DAC cable. Yes, again, we have noticed that USB DAC cable exposes both ends of MS1 better, which seems to produce more appealing results in overall. MS1 sound can be described as fairly balanced, with slightly exposed and pretty balanced mids, moderate bass extension, good midbass and impressive treble for dynamic IEMs. Entire sound picture is warm, focused on vocals and instruments in mids. 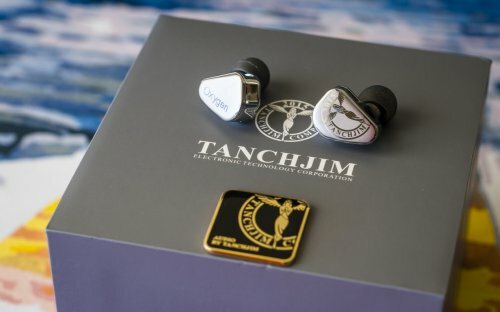 Tanchjim Darkside are beautifully crafted single dynamic driver IEMs with dark and warm sound. Lower end extension and texturing are great but mids and treble are influenced a lot by that to get a specific signature as the result. MS1 sound more delicate and balanced, only moderately warm and dark, with much better treble presence and exposed mids. Perhaps, the hardest comparison here. 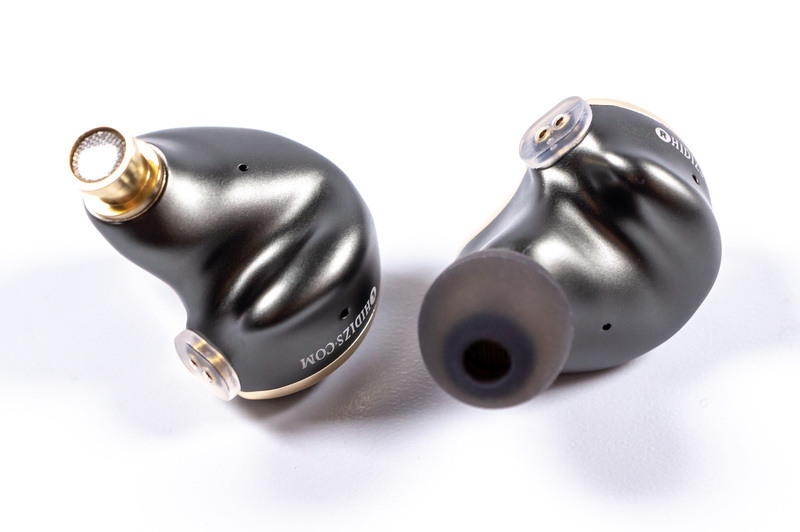 We love Anew U1 single dynamic driver IEMs for fairly balanced performance, great lows and clean treble. There are some flaws like driver flex (no compensational opening), not the perfect (but good) fit and tendency to have that harsh peak on female vocals for the most treble sensitive people. MS1 do have a better fit, don’t show the problem with driver flex and have better equalization of male to female vocals (less tendency to harsh peaks). At the same time, extension of lows is not that great as in Anew U1. Therefore, we would recommend MS1 over Anew U1 for upper mids — lower treble sensitive people.